Pasteurized prepared cheese product. 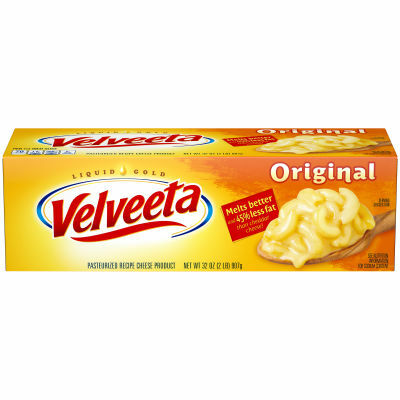 Velveeta contains 5g fat per serving; cheddar cheese contains 9g fat per serving. Serving size 1 oz (28g/ inch slice).